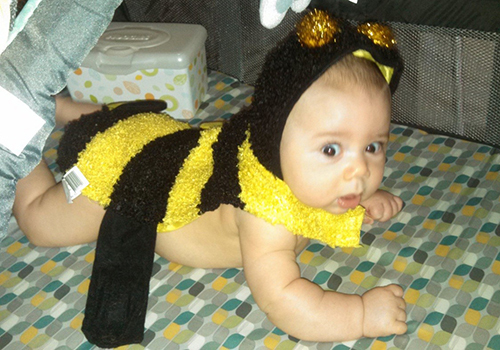 UB proudly welcomes the newest members of our University family—Baby Bees! 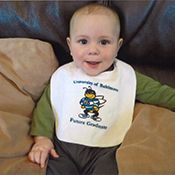 Moms- and dads-to-be, let us know when your little one arrives, and we’ll send you a Baby Bee bib, courtesy of the UB Alumni Association. 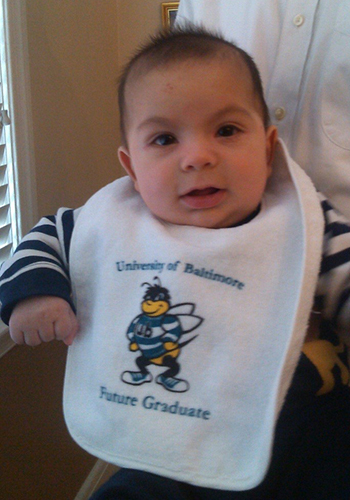 We look forward to receiving more photos of your new additions proudly sporting their Baby Bee bibs and will include them in the magazine as space permits. 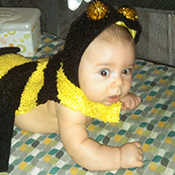 Share the buzz about your new Baby Bee with us at 410.837.6131 or by email. 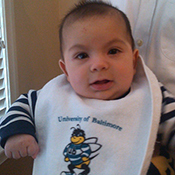 Scott Edward “S.J.” Wiener Jr.
Scott Edward “S.J.” Wiener Jr. was born Sept. 9, 2014, to Jana R. Wiener, J.D. 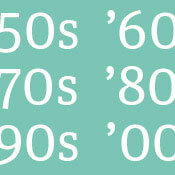 ’05. Meir Weil was born Nov. 4, 2014, to Brett (M.S. ’13) and Blumi Weil. Alex Miller, grandson of Wayne (B.S. ’77) and Marion Panek, was born Nov. 12, 2014. 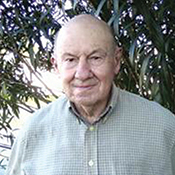 William K. Riehl, LL.B. 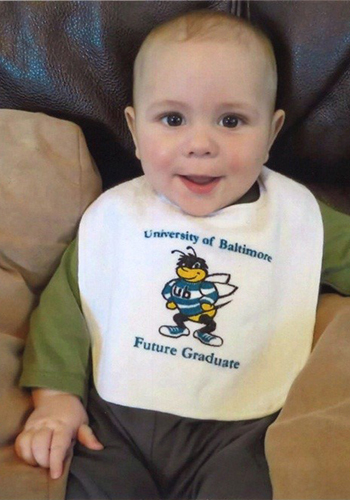 ’48, may be one of the few alumni who can recall a University of Baltimore of the 1930s.